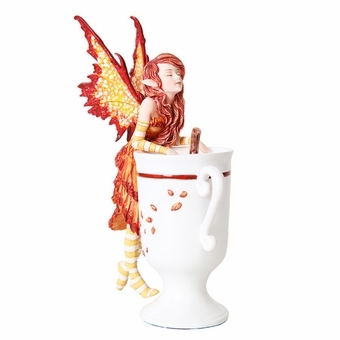 This fantastic collectible features a fairy and a mug of mulled cider! The pixie leans over the hot beverage, out of which sticks a cinnamin stick. 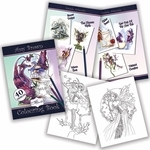 The fae has red hair and wings to match, with a dress in similar shades of yellow and crimson. The perfect figurine for any fantasy lover's collection! Size: 4 3/4" x 2" x 6 1/4"